On a beach vacation, I almost always find great swimsuit designs or beach bags... but on this trip, I've discovered something totally different. I'm a bit of a product junkie, but rarely get 'blown away' by any one thing. Until now. 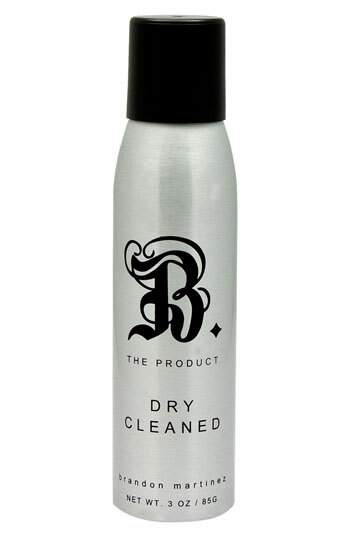 I discovered Brandon Martinez' dry shampoo at the Bal Harbour Shops, Neiman Marcus location. After two days of using it, I'm buying it in bulk. Seriously the best hair concoction I've ever purchased. It has a very light, but energizing fragrance and delivers body like I have never experienced. I'm pretty sure I will be using this even if my hair is super clean. Reps tell me that Nordstrom in Nashville is a retail option. Even if you can't find it there and have to order online, I highly suggest getting a can or two of this miracle spray. It is beyond fabulous! Great product~ it can also be found locally (along with the Napoleon Perdis AutoPrimer at Dillard's Green Hills.